Hello Beauties! Today I'm back with yet another lipstick review...can you tell I've been a little lip product obsessed recently? Throughout the Winter I don't tend to purchase any new lip products as the new shades that beauty companies just don't appeal to me...I've never suited deep reds or berry lips. However, now that Spring is slowly starting to turn into Summer, I thought it was about time to refresh my lip collection a little. 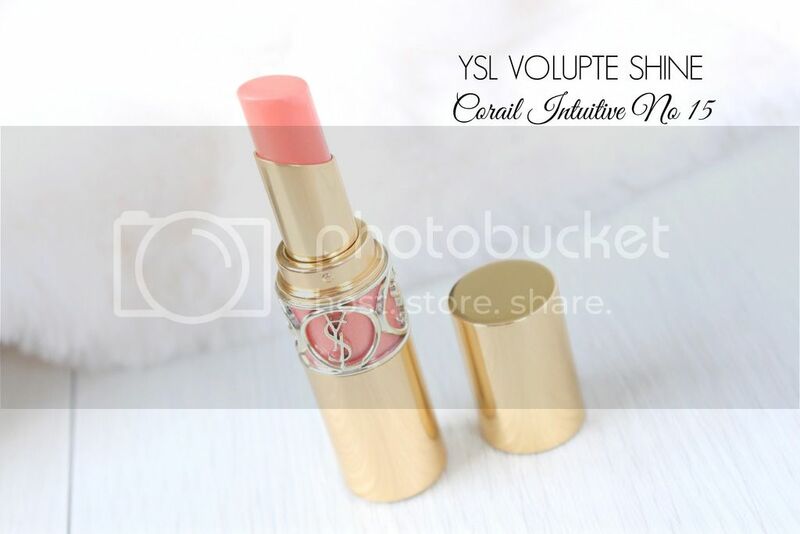 So say hello to my newest edition...the YSL Volupte Shine in Corail Intuitive. If you'd have asked me a year ago if I'd ever consider wearing an orange lipstick, the answer would have definitely been no. However times have changed and I'm slowly becoming more open to trying new lip colours, with orange being my favourite new edition. Since trying out Flamingo by MAC, I've been loving orange lips...not bright orange, but more of an orange toned coral, which is exactly what Corail Intuitive is. The YSL Rouge Volupte Shine lipsticks promise to leave your lips visibly softer and smoother with up to 8 hours of hydration, and also claims to give you a dazzling colour, extreme comfort, and a luscious shine. I'm happy to report that the lipstick did deliver on all of these promises. I've never been one for matte lips, preferring a glossy/shiny formula as I find them to be a little sheerer and generally more hydrating on my lips, which is exactly what this lipstick offers. The lipstick has a high shine, glossy finish which is slightly lighter than the regular Rouge Volupte lipsticks from YSL. I found that the colour payoff was surprisingly good for a glossy lipstick, but it's nowhere near as thick and creamy as the regular Rouge Volupte formula. 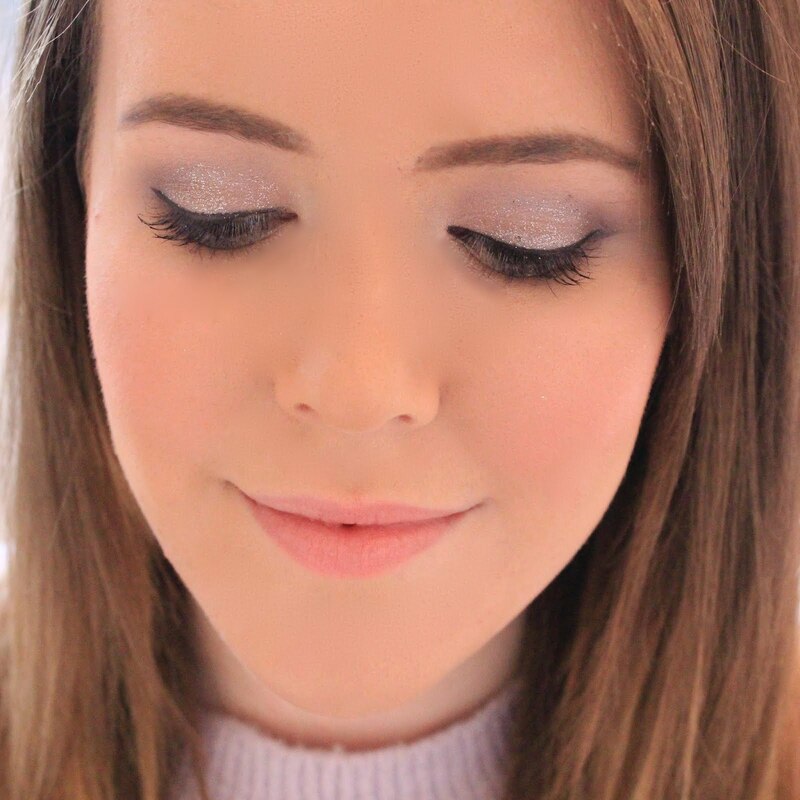 I think you'll love this is you're a fan of the MAC Lustre finish lipsticks like I am, with this one being slightly better and clearly more luxurious. I'd say the lasting power on this is fairly good for a glossy lipstick, it lasts around 3-4 hours on me, which is slightly longer than a MAC cremesheen or lustre lipstick would last on me, which I think is pretty good for such a high shine finish. And I could hardly end this review without at least giving the packaging a little mention. I think YSL lipsticks are one of the most recognisable on the market, and it doesn't really get more luxurious than YSL. The Rouge Volupte Shine lipsticks come encased in the beautiful gold packaging with the YSL design around the middle and the colour also around the centre part of the design, making it not only stunning but functional too, as you can easily see which lipstick is which if you have a few of them. If you're looking to treat yourself to a new lipstick, I'd highly recommend a trip to your local YSL counter, all of their lipsticks are divine and the Rouge Volupte Shine formula is just stunning for the Summer. This looks lovely and sounds great. I rarely wear a gloss lipstick - but I might just start wearing them more. Such a gorgeous shade, so perfect for now and summer!! I have this lipstick and love it. Perfect for this time of year. The formula is by far one of my favourites. This lipstick looks gorgeous, I wish to own a YSL lipstick one day in the near future.